Yesterday afternoon my business partner and I worked with our management team and business coach Clare McNamara on the future vision and values for our dental practice. After three afternoon meetings we have finalised our vision for the next five years, agreed our purpose and values and summarised all these so we can present them to our team at a meeting next month. Its been great to clarify our purpose, values and vision. It means that our team can now work with a common sense of purpose and push our dental practice forward. Hopefully, we haven't agreed on anything to scary to our team and that everyone in our team joins with us to work through this time of change. Another month has flown past! So here we are almost at the end of January, time is flying by faster than I would like to acknowledge. So as you can see, January has been an interesting month. 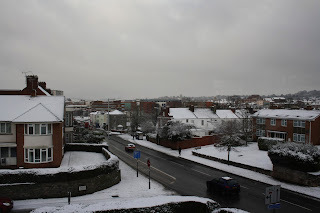 Exeter was affected by the worst snowfall I have seen in the nineteen years I've lived here. We suffered some disruption at work from patients not being able to travel and some staff members at the practice couldn't get in because they were snowed in in small villages that did not see the gritters for several days. Anyway after two days things got back to normal, but one thing stayed and that was the cold. I have had a productive month, enjoyed rebuilding and improving smiles, and just generally improving my patient's dental health. My business partners and management team have been working hard with Clare from Move Ahead Coaching and we are looking forward to unveiling our plans and vision to our staff and fabulous team next month. Here's a picture of some of our team taken in the Autumn last year. Tomorrow will be my last day of work, Thursday a rest day and on Friday I am looking forward to meeting Kevin Rose of Azimuth Coaching and Mark Oborn at a course at Devon Dental Specialists in Ashburton. I think this will be a great day. One quick recommendation before I go, I have just finished reading A Man on the Moon by Andrew Chaikin. This is a brilliant book and shows what an organisation is capable of with a coherent vision, strong leadership and an amazing team. 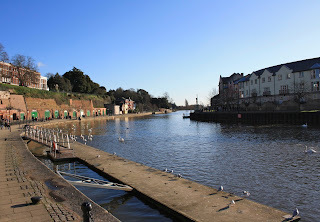 One last thing, another photograph of sunnier times. Roll on the warmer weather. I thought that on this cold, windy and rainy winter's night I would post some pictures of some warm and sunny places I've travelled to over the last few years. 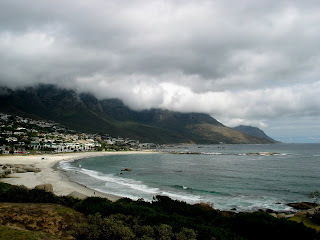 To begin with, Rebecca and I went on our honeymoon to South Africa, we travelled to Cape Town and stayed in a wonderful boutique guest house The Four Rosmead and then travelled on the Eastern Cape where we went to the Pumba Private Game Reserve . 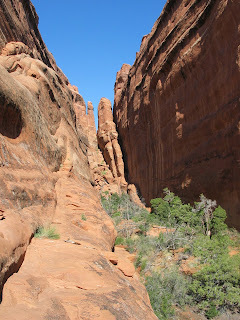 This was a holiday of a lifetime and we had an absolutely amazing time here and would love to visit here again. 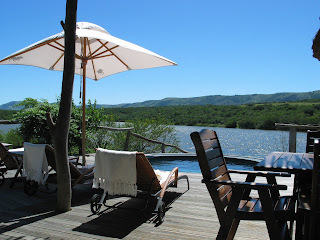 Some pictures of our lodge at Pumba Game Reserve and some of the wildlife. 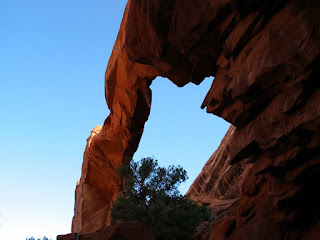 Over the last few years I have travelled to America and explored the National Parks in Utah and the states to the West of the Rockies. 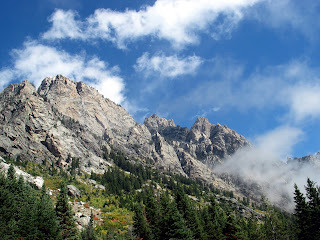 Here are some pictures of Yellowstone National Park, Teton National Park near Jackson and Arches National Park and Canyonlands near Moab, Utah. 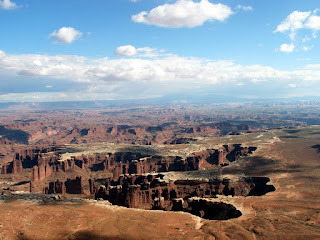 I hope these great pictures will brighten up your evening on a cold winter's night! 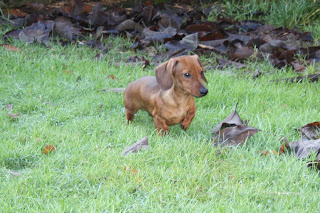 Barney the dog joined our family in October 2009, he's almost six months old now, he's brilliant fun but occasionally a nuisance, especially when he starts barking at just after 5am! 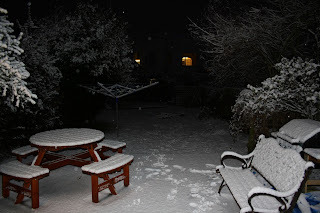 So after falling into the grip of an Arctic winter, Tuesday night was the final night of snow in Exeter. 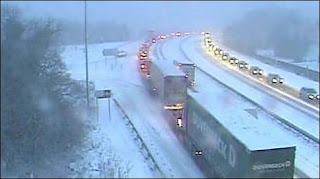 The surrounding hills and moors got a hammering and two major southbound road routes were closed for several hours stranding several hundred people in their cars. Exeter escaped and just had really heavy sleet and rain for several hours. Glad I only live a short distance from work and can walk home in the evening. All that is left of the snow are the remains of our snowmen on the dental practice's front lawn. This week has been busy in the practice, catching up from last week, but I've had the chance to do some interesting work. I have to sing the praises of a new material that I have been using for about a year now. Ivoclar Vivadent's E.max system produces some of the most beautiful all ceramic work that I have come across in my practicing career. It has great aesthetic properties and is very strong and is ideal for all ceramic crowns, veneers and inlays. If your a patient and interested in this type of dental work to achieve the stunning smile you've always wanted, please contact The Spicer Road Dental Practice and our reception team will be more than happy to make you an appointment for a dental healthcare assessment. The snow arrived in Exeter. A winter wonderland in chaos! Today, was a strange day. I was awake fairly early to let the dog out, the clock was showing 5:30 am, there was still only a faint dusting of snow on the ground. A few flakes were blowing in the air. Within an hour it was snowing heavily and a good inch of snow was lying on the ground. It continued snowing heavily during the morning. Exeter started to look like a snowy winter wonderland. I arrived at the practice to find three inches of snow on our entrance path and spent the first 10 minutes after I arrived clearing snow from the path to make things safe for the arrival of our patients. I went back inside to get a well deserved cup of coffee to find that we were cancelling patients because some of our colleagues were snowed in and couldn't get into Exeter. So, a strange day began. Initially things were busy, my first group of treatments arrived and were all treated satisfactorily, during this time the weather worsened, the snow was falling more heavily and gradually settling. This was probably the heaviest snow I'd seen since living in Exeter. Then the cancellations began, patients probably quite sensibly didn't want to travel in such awful conditions and who can blame them! By lunchtime I had two patients left for the afternoon and by 3pm I was finished and heading home. 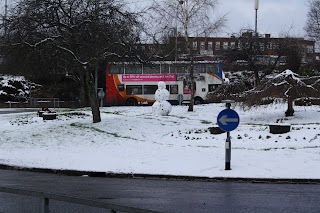 I did wander around Exeter and did see some amusing sights, a snowman in the middle of the main roundabout at Paris Street, and a poster of David Cameron urging us to vote Conservative being pelted with snowballs. 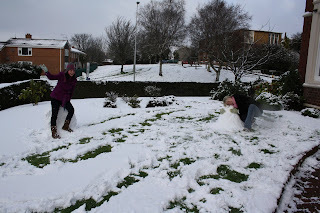 Our nurses even made two snowmen in the front garden of the practice! More snow on the way so I expect to see more chaos later in the week! Today marked my return to work. I've only worked a day and a half since the 17th December. I have had this short break because I was due to have an operation but unfortunately this was cancelled at short notice. My nurse had booked leave so I was only able to work when other dentists were away from the practice freeing up members of support staff. 2009 was a year of big change for the Spicer Road Dental Practice, a long time member of the team left, and a new dentist started in August. As a business owner 2009 was hard, but things have begun to settle down. The management team have been working with a management coach and now have a clear idea of our future vision, purpose and goals. 2010 is the beginning of a new decade and a new beginning for the Spicer Road Dental Practice. rebuilding smiles, giving our patients the confidence to dazzle their families with their new smiles. If you are interested in seeing us for a dental health and smile check, please take a look at our website at www.spicerroaddentalpractice.com , and contact our brilliant reception team for an appointment. Your new smile awaits. This is a sample of some of our work. Yes I know it's a day late but belated happy new year to the world. Yesterday started cold and frosty, but it was great to see the sun after a few days of gloom and cold. 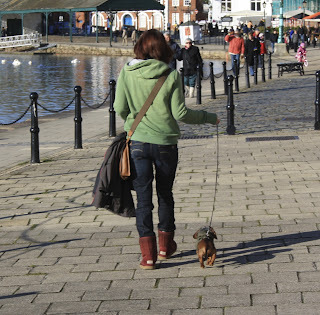 Rebecca and I went for a walk on Exeter Quay taking Barney the dog with us. Here are some photos. By the way, Rebecca has started blogging too and her musings on TV can be found at http://newtvcritic.wordpress.com/. So I'm going to enjoy the rest of the weekend before returning to work on Monday, a big day of dentistry ahead I think.